The New York City Transit Authority (NYCTA), the largest transit authority in the U.S., took delivery of a Traction Motor Diagnostic System (TMDS) in October of 1998. The TMDS has proven to be an invaluable tool for NYCTA. Not only have NYCTA engineers been able to ensure that only reliable motors are placed in service, they have also been able to evaluate individual motor components, perfect assembly methods and qualify outside suppliers. For a complete description of the operation of a TMDS refer the TMDS section. The NYCTA motor shop is located in Brooklyn, New York and provides motors for the entire system. 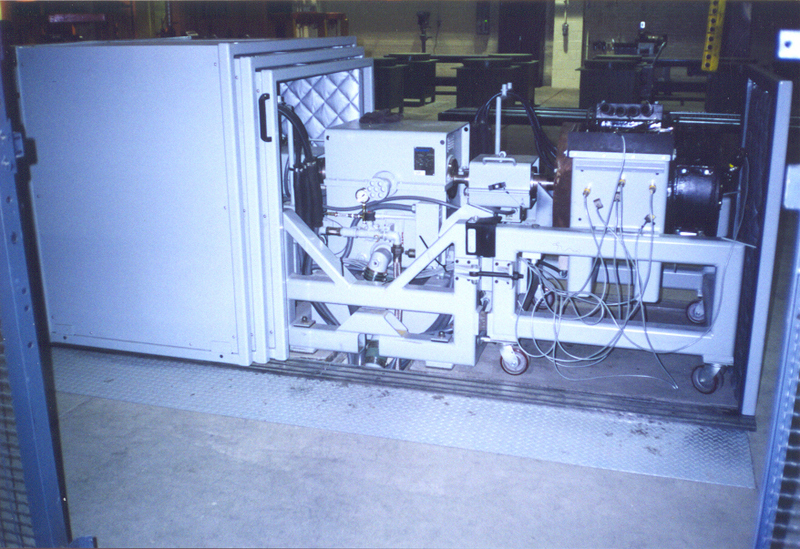 The control section, which contains the computer, monitor, keyboard, dynamometer controller and printer, is located in the vicinity of the test frame. There is no test cell in this application and therefore, a telescopic motor cover is employed. All control lines from the control cabinet are located in conduit located under the floor. This results in a very clean installation. The motor cover is mounted on rollers and guided by a track system for easy opening and closing. Note the sound deadening material on interior of the cover. 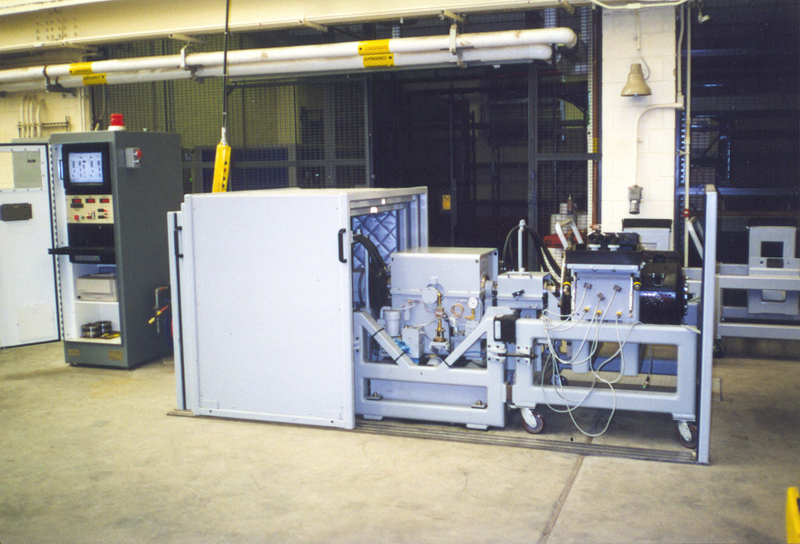 This system is designed to accommodate and test two motors. 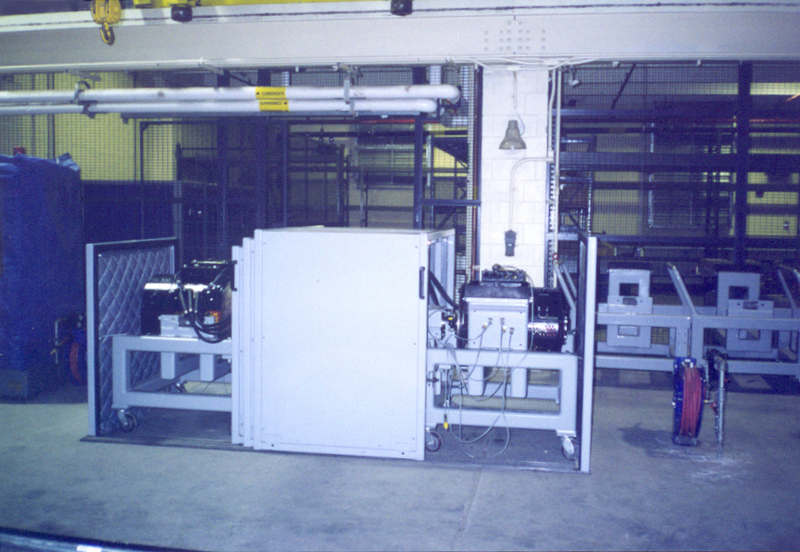 The dynamometer is located in the center of the test frame and the motors are mounted at the ends of the test frame. 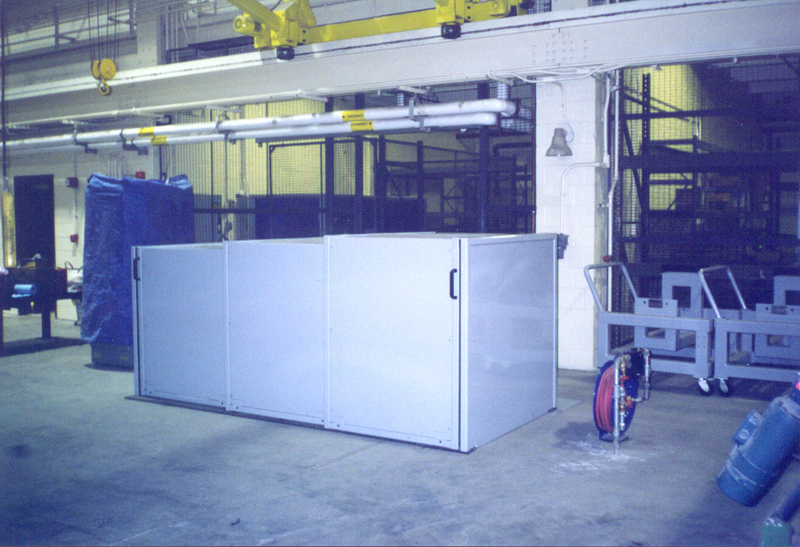 The test frame is designed specifically to accommodate Westinghouse and GE traction motors. 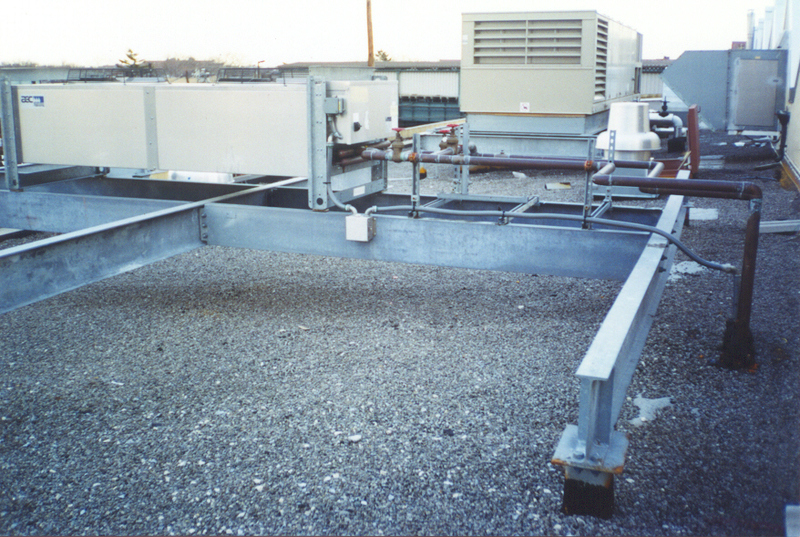 The air-to-water heat exchanger, which cools the dynamometer, is mounted on the roof of the motor shop. A high pressure pump, located on the shop floor, circulates the coolant. 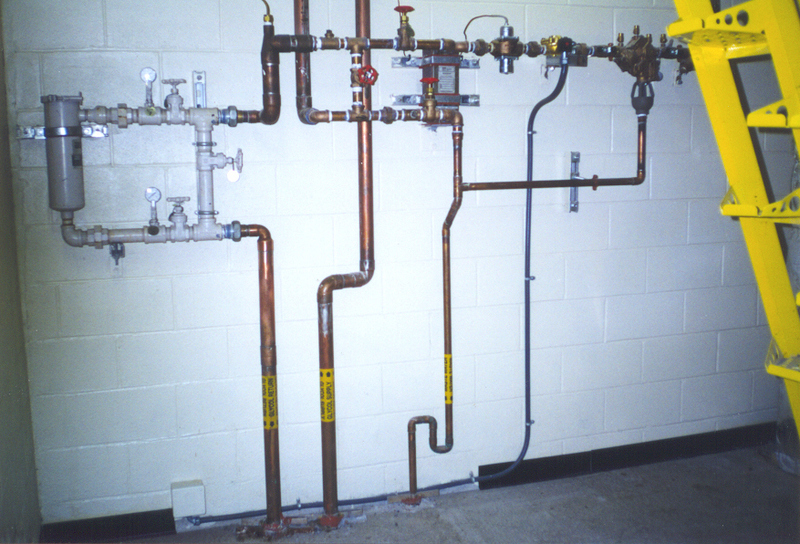 A water-to-water heat exchanger, which contributes to cooling during hot weather, is located in a utility room. The coolant filter is also located in this room. The regulator section is located in a remote location to save floor space. The regulator section provides the electric power to run the motors. Power cables from the regulator go the the test area via conduit located under the floor. 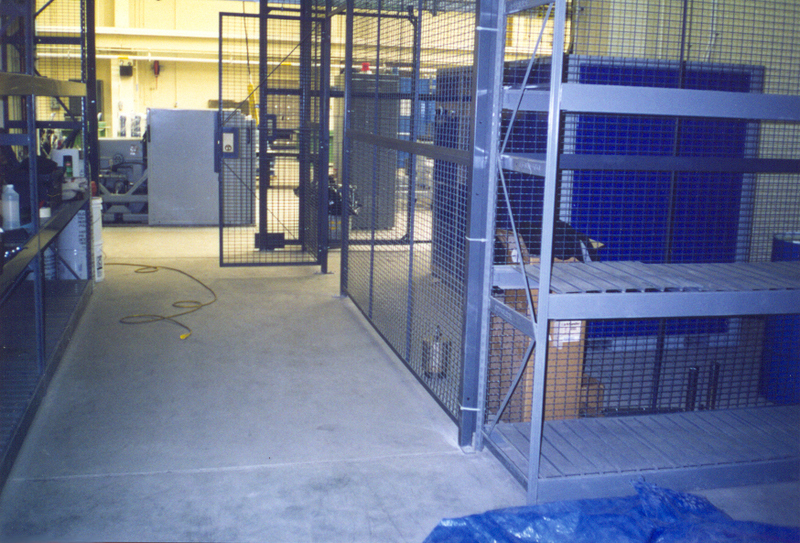 The regulator is located inside the cage on the right. 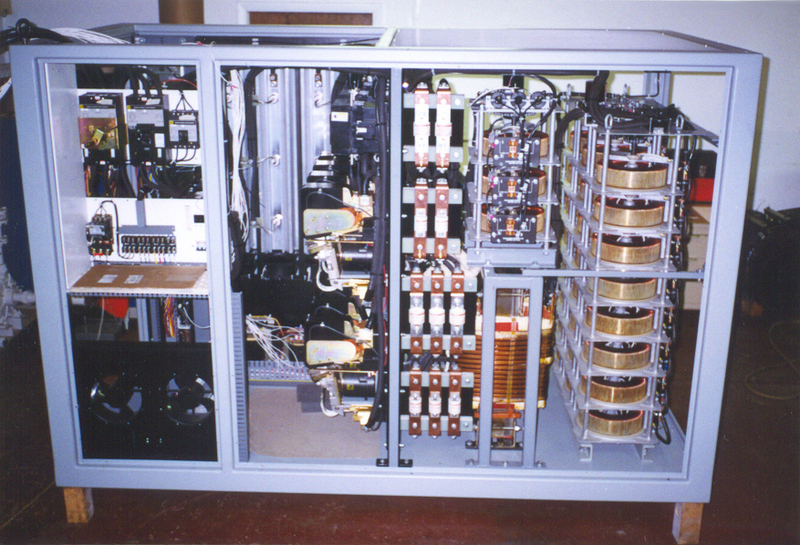 The regulator section contains transformers, rectifiers, contactors and all controls necessary to power DC traction motors.